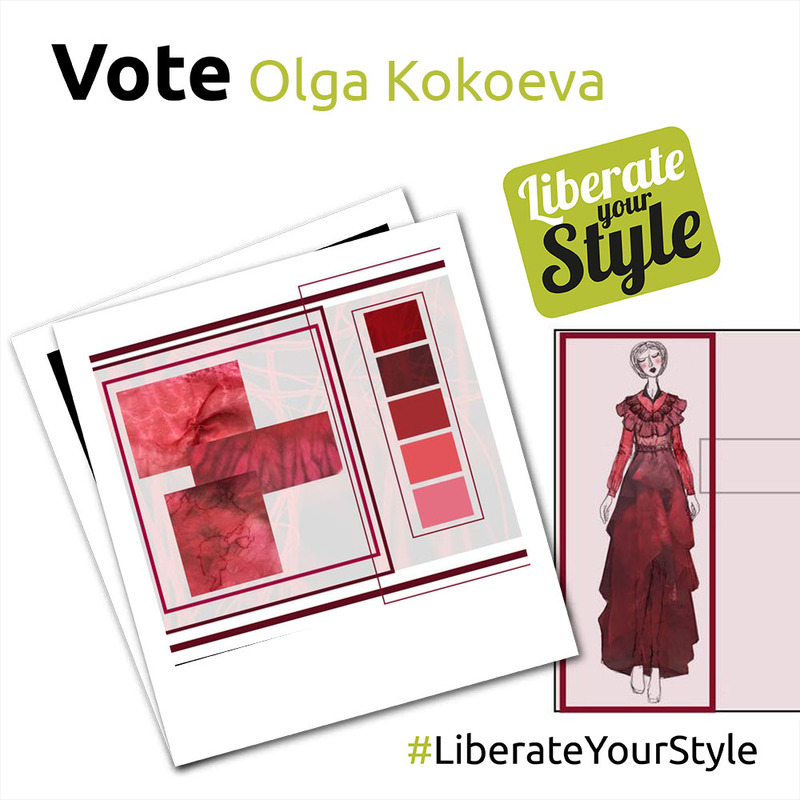 How do you feel about being a finalist in the 2016 Fashion Design Competition? : I feel really great and impressed that my design was chosen for the final and now I have a chance to show this on the catwalk. I’ll be happy for people to vote for me and attend the catwalk to see my designs in reality. What does ‘style’ mean to you? : To me style is an impression of character. I think different styles emphasise people’s inside world and moods. Who is your style icon? : I don’t particularly have an icon, but some of the designers I’m excited about are Simone Rocha, McQueen and the Callot sisters. Please summarise the concept behind your design in one sentence: The development of life that has many shades and layers.